As the year opens, the Sun, Pluto and Mercury occupy your 1st House of self awareness and physical appearance, Capricorn. Expect for your love and career life to take off after the 9th. Capricorn begins the year on a great note as Mercury (Intellect and mental agility) travels through your sign bestowing on you a way with words. Your finances expand, love shows serious closeness or the option for closeness and your personal affairs fall into place. 2012 taught you where you know you need to be, with whom, and how you hope to accomplish these goals was put into serious motion once Saturn entered Scorpio in October of 2012. As we begin 2013, you're in a solid, respected position and the public, private and social sectors of your life will admire you from the sidelines and when in your personal company. Pluto (Transformation/slow but powerful change) has been in your 1st House of appearance and new beginnings since 2008. By now, most Capricorns have adjusted to this small but powerful planet in their 1st House of radical change, birth and rebirth. Pluto demands that your views about your overall life TRANSFORM inside out and upside down, personally, professionally, financially and socially, Capricorn. Think back to 2008 and compare your life to now. Pluto is known to create headaches and some major annoyances, but one thing remains certain. Capricorn is sturdy and can withstand obstacles much like Scorpio does. Capricorn will not let Pluto deter them from achieving their goals, no matter what. Once Capricorn has committed to someone or something, they remain loyal to the very end. Pluto in your 1st House brings about an ending but in the process of this ending becomes a rebirth and finally a total transformation. One thing remains certain: Your physical appearance will undergo a change or transformation during this time. You could gain weight, lose weight, undergo cosmetic surgery and transform your physical appearance enough that others will take note and so will you. Saturn (Lessons/Structures) continues its transit of your 11th House of friendships, hopes and wishes. You pay careful attention to your hopes, wishes, groups, networks and friendships throughout Saturn in Scorpio. It's never a bad idea to examine your behavior to see how others perceive you as opposed to keeping your head in the sand and thinking you have all the answers. Saturn in Scorpio will also ask you if you have learned lessons that you needed to learn when it comes to the foundations of these areas that affect your life, Capricorn. Capricorn doesn't mind delays, lessons or structures; they appreciate them and grow from them always. 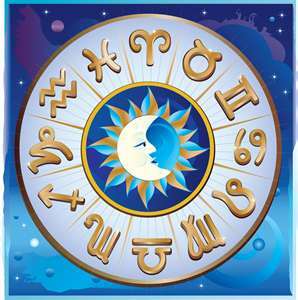 Saturn in your 11th House of friendships solidifies your friendships, groups with which you affiliate and your hopes and wishes. This transit promises a solid foundation with your friends and helps bring about a sense of reality to your hopes and dreams. This transit, if anything, will not be one you resist, Capricorn. It really is about how we react to life. Jupiter (Prosperity/Expansion) transits Gemini and your 6th House of health, personal wellness and diet until June 25th. You notice movement, luck, optimism and expansion via daily work, health and wellness and diet and nutrition. In June, Jupiter enters your 7th House of marriage and serious relationships. Expect the emphasis to turn to all relationships that are super serious for you beginning summer of 2013, specifically on June 25th. This will be a time of great expansion and in a good way, Capricorn. Jupiter is considered a fortunate planet in Astrology and it is believed to bring about luck and good fortune to your life. In your 7th House of Cancer, you find personal, financial and professional life to fulfill you on a deep and profound level. And that says a lot, Capricorn. Your best time for love is whenever Venus travels through your sign or in a compatible earth sign like Taurus or Virgo. The dates listed below are some of the ideal times for Capricorn in love in 2013. You have no idea how exciting and surprising 2013 is going to be, Capricorn. Talk about drama, suspense and your idea of a good time!